With only a handful of calories and a boatload of flavor, Creamy Oil-Free Lemon Ginger Dressing makes a beautifully bright and inviting topping for your salad, roasted veggies or a simple bowl of rice! Use it as a dip for fresh chopped veggies or swirl it into a plate of warm noodles. And whichever way you decide to use this remarkable looking dressing slash sauce slash dip – get ready for a sunny infusion of robust flavor. When I first created this dressing I had in mind to pair it with a sheet pan filled with Roasted Rainbow Carrot Rounds, which I did and loved how it well the flavors works together! But what I didn’t expect was that I now WANT A JAR of homemade Creamy Oil-Free Lemon Ginger Dressing waiting for me in my fridge at all times. Additionally, this lemon ginger sauce is incredibly yellow! And I SO appreciate the pop of color it adds to everything it dresses! Now I crave Creamy Oil-Free Lemon Ginger Dressing, and it is the first thing that comes to mind whenever I score a bunch of fresh kale. The tangy, lip-puckering lemon, combined with the kick of ginger and garlic is a combo that stands up well to sturdy greens like kale. Ginger relieves inflammation and inflammation is said to be the root of all disease. Also, one notable claim about the health benefits of ginger is that it is a known homeopathic treatment for migraines. And since ginger serves as an anti-inflammatory, it is also known to relieve menstrual cramps. Let’s hear it for ginger! First, be sure to try this dressing with a colorful plate of Roasted Rainbow Carrot Rounds recipe I mentioned above. The sweetness of the roasted carrots is a perfect balance to the gingery punch of this sauce. Second, try it with a mixed green raw salad, maybe some kale like I mentioned or even some crunchy slaw. Yes, this would make an excellent slaw dressing, too! As you can see, the possibilities are endless and the flavor, divine! It looks like a ray of sunlight. And it’s full of nourishing anti-inflammatory ingredients. 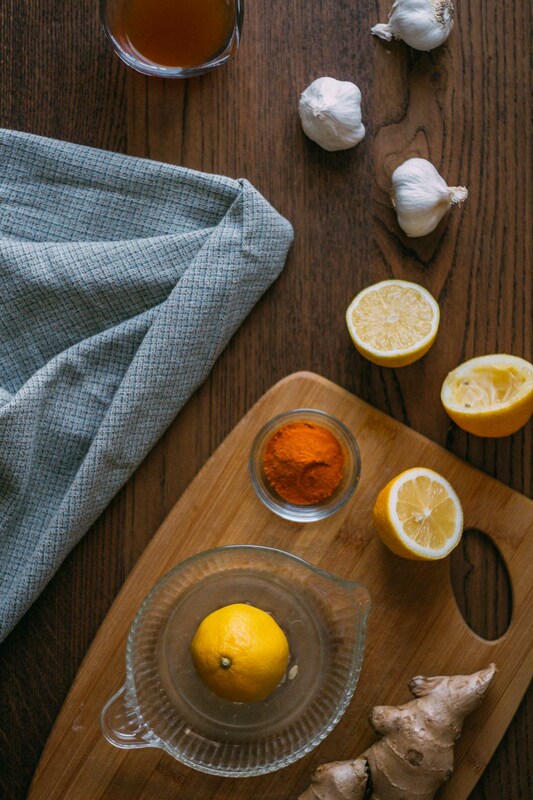 Creamy Oil-Free Lemon Ginger Dressing is a sauce that will spruce up so many dishes. Be sure to Pin this recipe for safe keeping and sharing. And once you try this for yourself, leave us a comment. 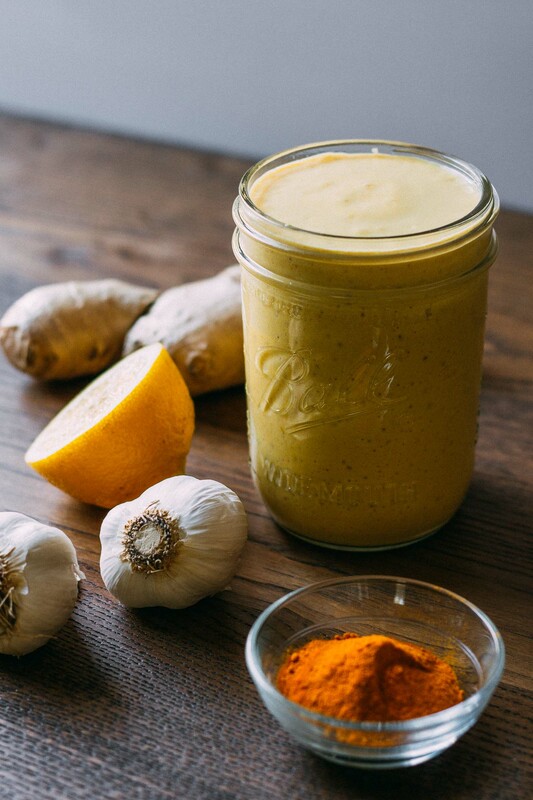 Let us know how much you enjoy homemade Creamy Oil-Free Lemon Ginger Dressing – we’d love to hear how it goes! Got 10 minutes? Then you’ve got the time to make your own creamy and delicious homemade dressing! 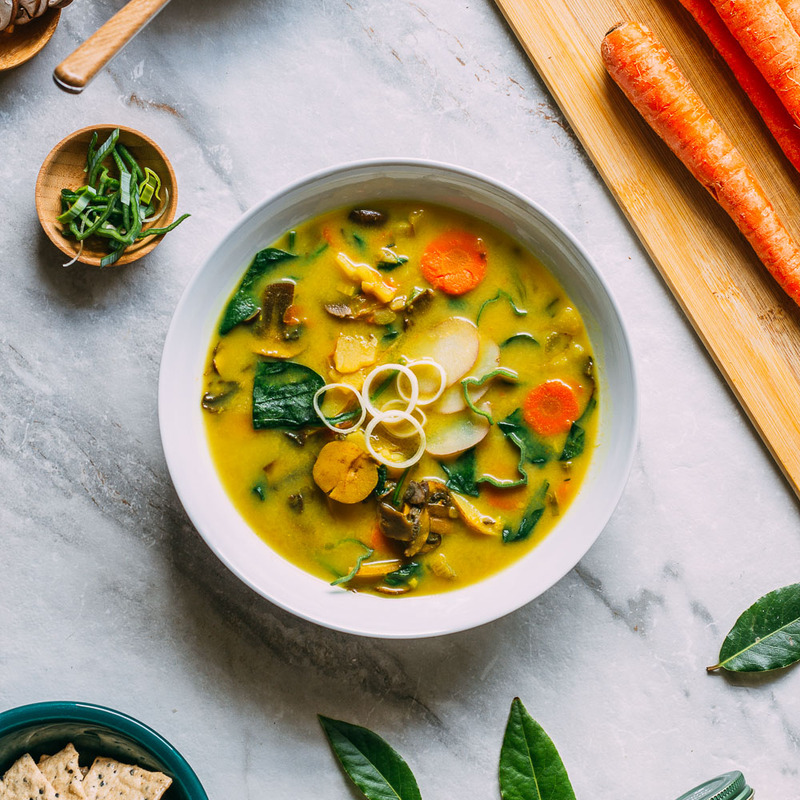 It’s a super lemony ginger garlic blend that stands up equally well to a bowl of salad or a plate of roasted veggies! This low-cal batch yields 8 to 12 servings of Creamy Oil-Free Lemon Ginger Dressing depending on how much dreamy sauce you like! 14 ounces of silken tofu - Most of the time I use organic Nasoya brand. 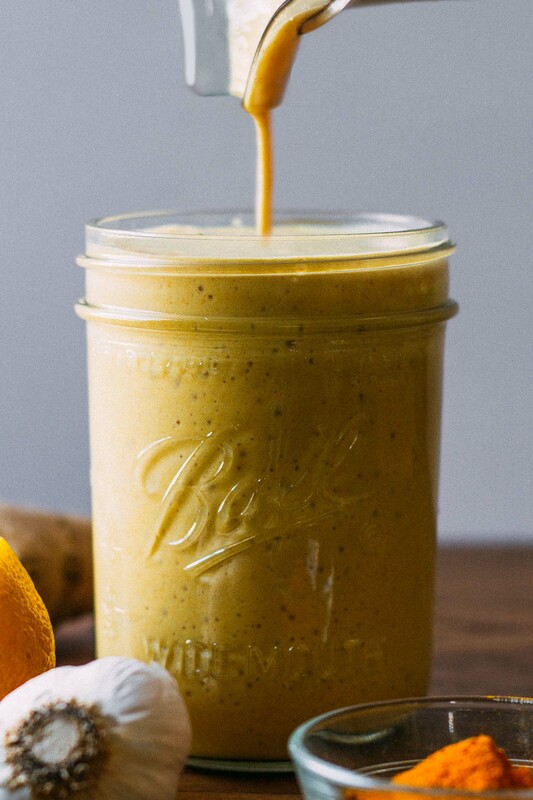 To make your very own jar of sunshine, aka, Creamy Oil-Free Lemon Ginger Dressing, combine all of the ingredients except the broth in a blender. Blend for about a minute or until the contents looks smooth. Taste to season with sea salt and freshly ground black pepper. Finally, add a little broth at a time until the consistency is to your liking. Feel free to add more than what I have suggested if you prefer a thinner dressing. 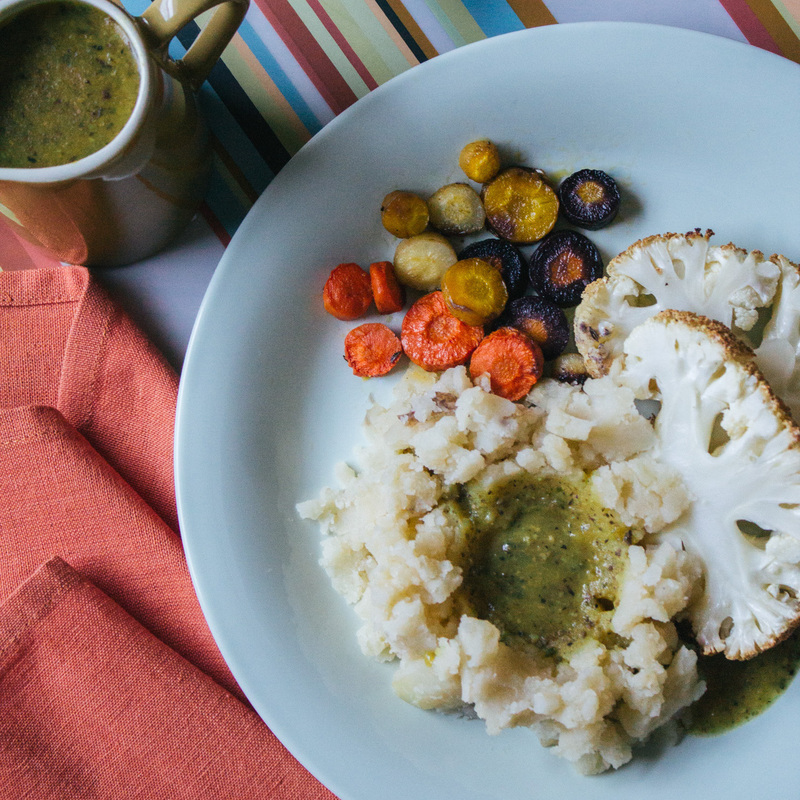 For a tasty and quick dinner idea, serve as a sauce for a batch of Roasted Rainbow Carrot Rounds! When using silken tofu, the results are a little thin making the dressing lite. If you prefer a thicker dressing, switch out the silken tofu for a regular or firm variety of tofu. 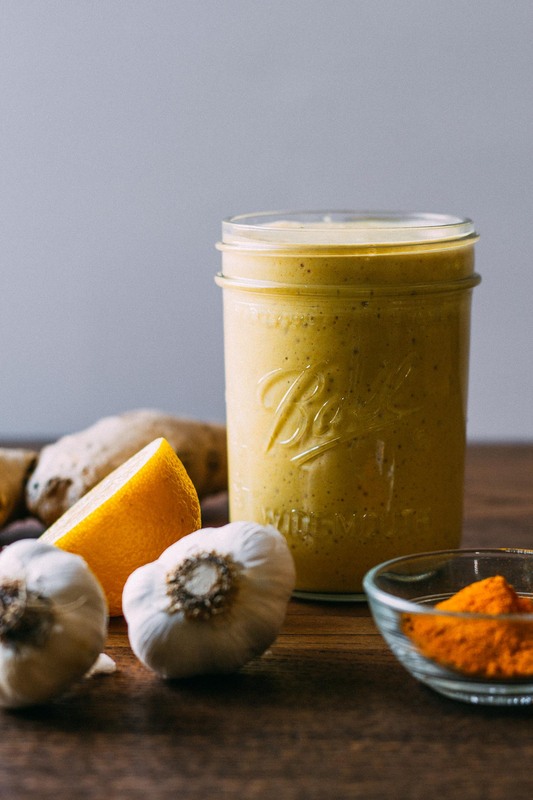 A high-speed blender delivers the creamiest results and will handle the garlic and ginger well, but any type will get the Creamy Oil-Free Lemon Ginger Dressing mixed. You can use a food processor, but the result may have detectable bits of garlic and ginger, which isn't necessarily a bad thing. Garlic can be a sensitive subject in the kitchen. To me, the more, the merrier. But since that is not everyone's opinion of garlic, I sometimes give a window rather than an exact amount of cloves. Remember not all cloves are equal either. For example, if you're using cloves of garlic that are pre-prepped, you may want to add a few more. If your garlic is garden fresh, maybe less will do. You be the judge of the number of cloves. When in doubt, test it out and start with less. You can always add another as you go. 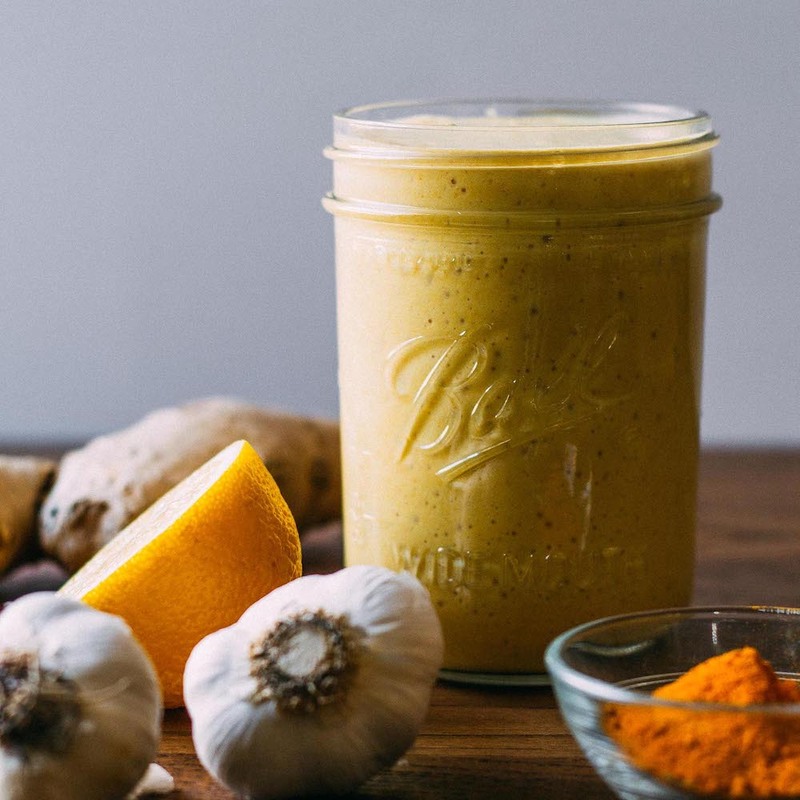 Since I use turmeric for everything from a warm and soothing cup of golden milk to face masks and curries, I like to buy it by the pound rather than the ounce since it saves money in the long run.